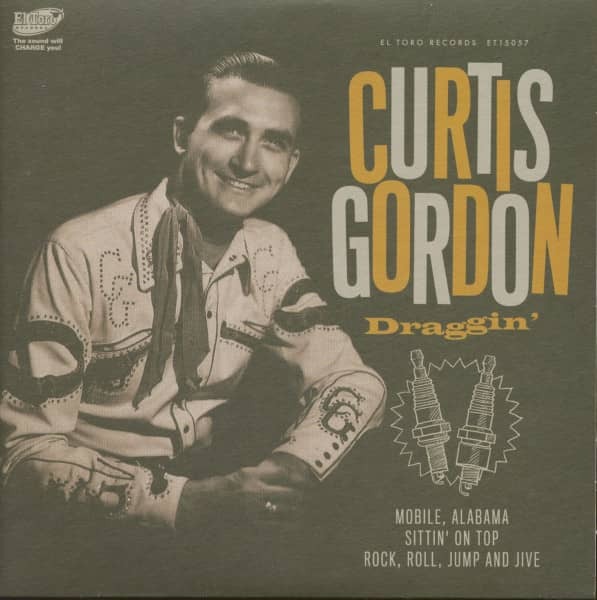 At 1:30 on Wednesday afternoon, October 22, 1952, newly signed RCA Victor recording artist Curtis Gordon began his first session at Brown Brothers in Nashville, with RCA A&R man Steve Sholes presiding. Three of his own band members joined him in the studio: fiddler Charles Mitchell, pianist Curly Gainous and bass player Slick Gillespie. Rounding out the band were three of Nashville's early studio A-Team: guitarist and Sholes protege Chet Atkins, singer and rhythm guitarist Eddie Hill and steel guitar virtuoso Jerry Byrd. For Gordon, landing a deal with RCA, the label of Eddy Arnold and Hank Snow, was a major break. A regional performer who mainly worked south Georgia and north Florida and did occasional national tours, he fit into the honky-tonk sound in vogue at the time. It didn't matter that he had no national home base like the Opry or Louisiana Hayride. He was a regional favorite around Georgia, Alabama and Florida, and in those days major labels didn't shy away from signing such acts, hoping to break them nationally. Born in July 27, 1928 on a farm near Moultrie, Gordon spent his boyhood drinking in music. "Ernest Tubb and Bob Wills were two of my favorites. I did listen to a lot of Jimmie Rodgers' old records, but Ernest Tubb's 'Walkin' The Floor Over You', 'It's Been So Long Darling' and 'Let's Say Goodbye Like We Said Hello' and all those were my favorites. Ernest Tubb was really my idol until I got into Bob Wills." 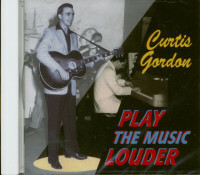 Soon enough, Gordon was trying to sing locally, winning a talent show sponsored by a Moultrie radio station. His drive to perform never diminished as a teenager, though temporarily affected his education. "I went to Gulfport, Mississippi and worked with a little band at a radio station there for six or eight months until my folks brought me back and put me in school" he says. Gordon also made early contacts with a fellow Moultrie resident following his own musical road: fiddler Ivy J. Bryant, years from his metamorphosis into premiere country-jazz guitarist Jimmy Bryant. "Jimmy was my wife's second or third cousin. I played with Jimmy several times. Jimmy played fiddle in the same band I was talkin' about. He didn't play guitar then. He could probably play chords, but after Jimmy went to the Army during World War II that's when he learned guitar. When he come out of the army, he could burn a guitar up." Even though Gordon's folks brought him back from Gulfport to attend high school, he continued developing his performing talents with Pee Wee Mills and the Twilight Playboys around the area and on their program on Moultrie's WMGA radio. Finally, on January 1, 1949 Gordon organized his own band. Starting around southern Georgia and northern Florida, he had enough work to keep him going. 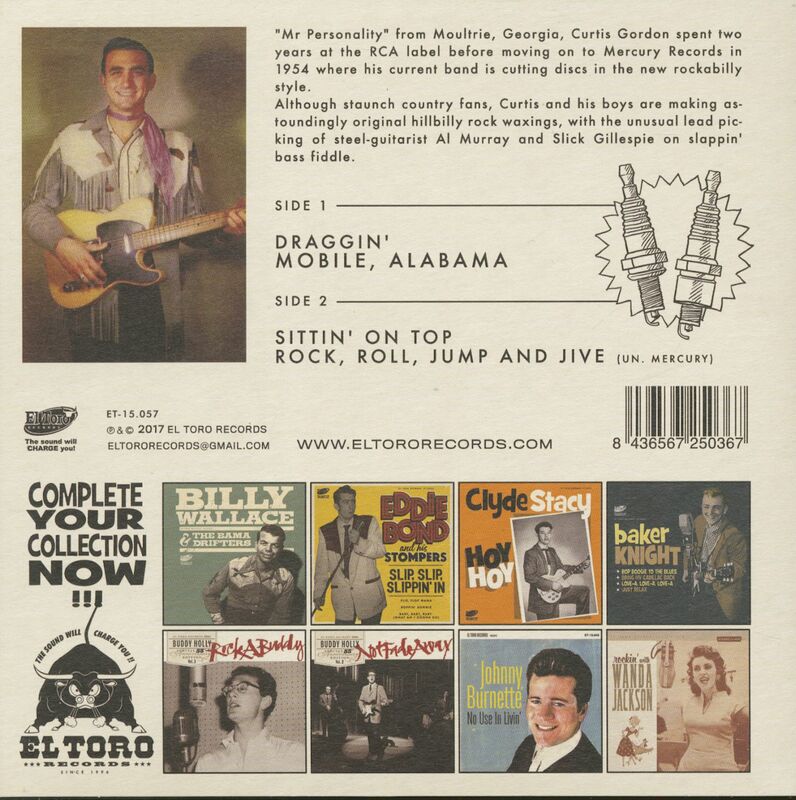 In June 1952, he and the band appeared in a talent contest at Atlanta's Tower Theater. Impressed, RCA Victor's Atlanta distributor Sam Wallace recommended Gordon to Steve Sholes, who signed the singer shortly after that. Around July, he joined the Mobile, Alabama's 'Dixie Barn Dance', one of the small country stage shows in the tradition of the Opry and the Louisiana Hayride. Making Mobile his base of operations, by October of 1952 he'd opened his first Radio Ranch nightclub, which became one the major country music outlets in the region. Over the next four decades, he'd also own three other Radio Ranches (a copyright name) in Thomasville, Albany and Moultrie, Georgia. That busy month was capped by that RCA session on the 22nd. Whatever Gordon planned to record at that first session, Steve Sholes, as usual, had his own ideas. 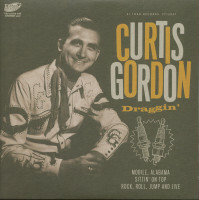 Seeing Gordon as a potential ballad singer, he directed the sessions that way, having him record What's A Little Pride and The Greatest Sin. Both were penned by Cy Coben, whose songs (both good and lousy) wound up being recorded by many RCA artists. At the same session, Gordon did better with the strutting Jack Toombs-Vic McAlpin ditty You Ain't Seen Nothin' Yet, featuring bouncy guitar from Chet and Gainous's competent honky tonk piano. Jack Toombs’ If You Tell Me One More Lie indicates Sholes had ideas to position Gordon to be another Lefty Frizzell. Though Sholes encouraged artists to submit numbers for consideration on sessions, more often than not, he turned to the folks at Hill and Range for material, a sweetheart deal that resulted in many RCA artists recording great tunes but an awful lot of crap. Customer evaluation for "Draggin' (EP, 7inch, 45rpm, PS)"